7th Regiment 7th Regiment will perform its 2013 show "Luminous" in exhibition at 4:30 p.m. on Sunday, July 21 at New London High School in New London, Conn. The event is free and open to the public. The Academy The Academy needs standard license drivers for one-week intervals during the corps' summer tour, in addition to a medical representative. Refer to the Academy website for details. 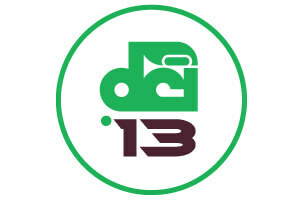 Blue Devils The Blue Devils and Minnesota Brass will present the System Blue Midwest Drum Line and Leadership Camp, July 11-13 in Minneapolis. Blue Stars Blue Stars are still looking for volunteers to help out at the River City Rhapsody - La Crosse DCI Tour event on Friday, July 12. Bluecoats In partnership with The Cleveland Browns NFL franchise, the Bluecoats have announced The Cleveland Browns Drumline, a percussion ensemble that will perform at Browns home games during the 2013 season. Those 18 and older can audition online July 1 through August 1. Boston Crusaders Wondering about Boston Crusaders' new gray jackets? The article "The Past Beckons" provides fans with an in-depth explanation of the new uniforms, and asks the audience to keep its eyes open throughout the season, as the uniform will evolve with the show. The Cavaliers The Cavaliers face off against Phantom Regiment once again in the second Backyard Brawl, a fundraising challenge held between July 1 and 13, when fans can donate in order to vote for their favorite corps. Colts The Colts have updated their mail drop schedule through World Championships on its website. If you'd like to send something to a Colts corps member, here are the dates you need to follow. Crossmen Crossmen fans can sign up to receive I-texts text message offers, which will provide the corps with donations. The corps will use this as a fundraiser to pay for new uniforms to mark the corps' 40th anniversary in 2014. Mandarins Mandarins have a couple of open spots in its color guard section for the 2013 tour season. For more information, contact the Mandarins via Facebook message. Pacific Crest On July 3, Pacific Crest held a clinic for high school musicians from Moreno Valley Unified School District. The clinic focused on getting students excited for their approaching marching band seasons through interaction with corps members and staff. Phantom Regiment Phantom Regiment began its second Backyard Brawl against The Cavaliers on July 1. Until July 13, fans can donate as a vote for their favorite corps. Racine Scouts Racine Scouts put out a call for volunteers to cook, clean, wash and help with corps' Bingo operation this summer. Santa Clara Vanguard Santa Clara Vanguard is looking for a driver for its small truck, leaving from Denver on July 6. Vanguard Cadets Vanguard Cadets is looking for a driver for their pickup truck and kitchen trailer, beginning July 20, and possibly on some weekends prior.